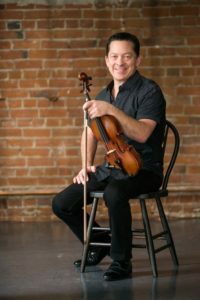 A multi-award winning Canadian champion, Louis Schryer is one of Canada’s most respected and sought out fiddle players. Passion flows through his instrument with a soulful touch and exhilarating spontaneity during every performance. He is the only 8-time Canadian Fiddle Champion and the only one to hold the title of 4-time Grand Masters Fiddle Champion. Louis astonishes audiences every time his bow crosses the strings of his violin with stylistic diversity and influences that cross the spectrum of fiddle and violin music. His foundation of traditional Canadian, Québecois, Cape Breton, and Irish fiddle music as well as swing and classical has shaped his musical ability into a unique style. Whether he performs as a solo artist with a solo accompanist, in a small group, with an orchestra or as a complimentary player for bands of various styles, his talent is virtuosic. Louis connects musically with any artist in a way that compliments the performance, captivating the audience into the world of the musician’s musical experience, leaving them feeling exhilarated. Louis has taught at the Grand Master Fiddle Camp and the Leahy Fiddle Camp numerous times and has been a judge at the Grand Masters Fiddle Contest, Shelburne Canadian Championships, and the Pembroke Fiddle and Stepdance Contest.